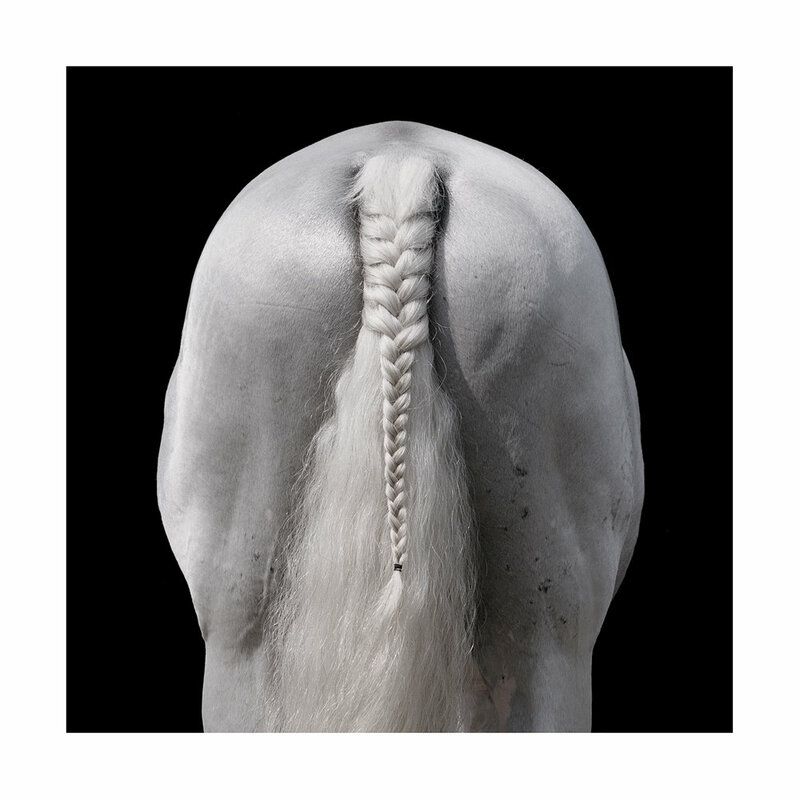 In his series Horses 2008, Almond Chu gives us yet one more series of exquisitely made photographic works. Known for his superb black and white nudes and his stark compositions during the ʼ90ʼs, Almond Chu has since ventured into several new areas of expression. In recent years he has explored new themes and has worked in colour, both in and out of the studio, including urban documentary, still life, social commentary and experimenting with digital image manipulation. 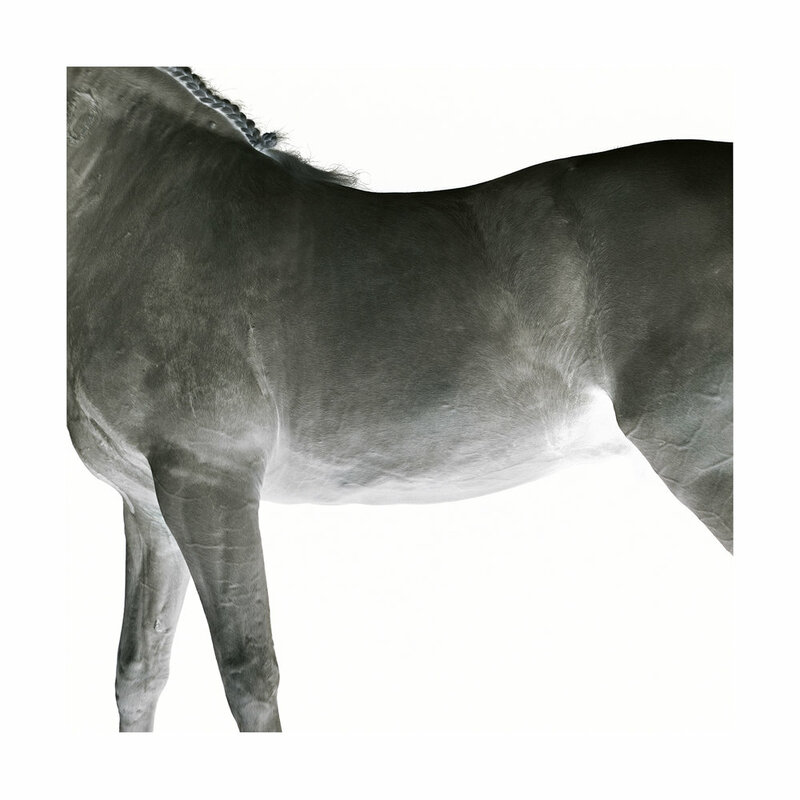 With Horses 2008, he returns to his beloved monochromatic compositions. 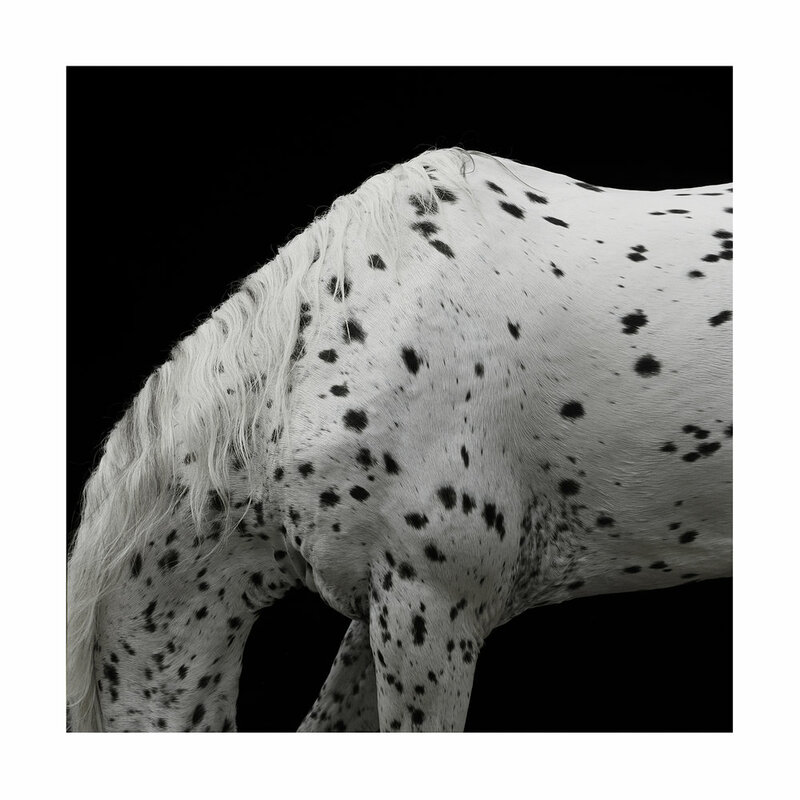 The images that were selected for the exhibition titled Zoology (Osage Soho, June 2008), depict semi- abstract compositions of disembodied horseʼs torsos and napes, brightly lit against a black background. 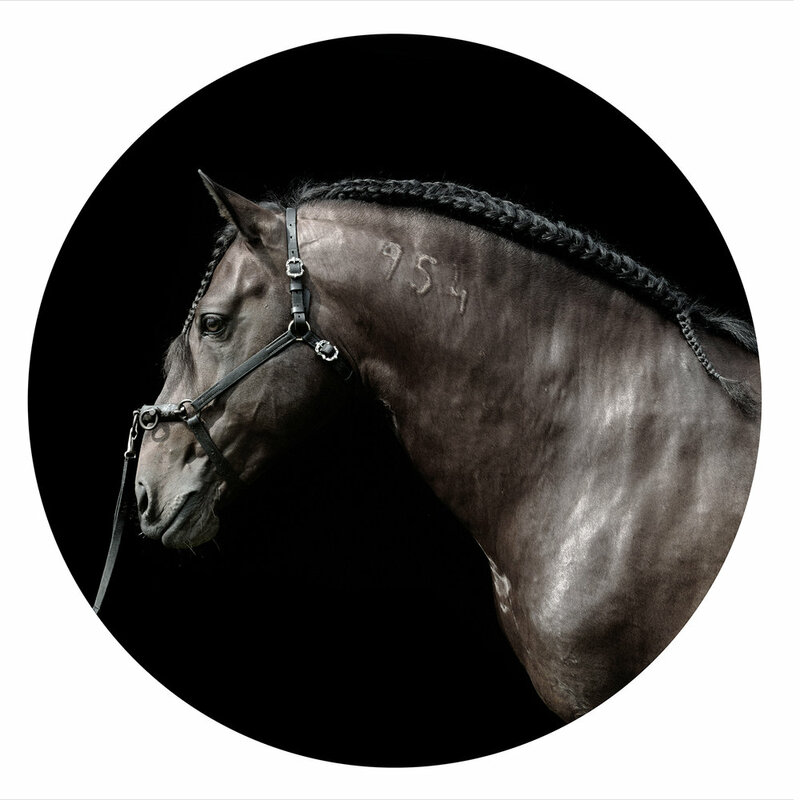 The exception are two works depicting horsesʼ heads in circular vignettes. As with most of Almondʼs portraiture, the composition is kept to a minimalist level with clean, strong lines delineating the subject. 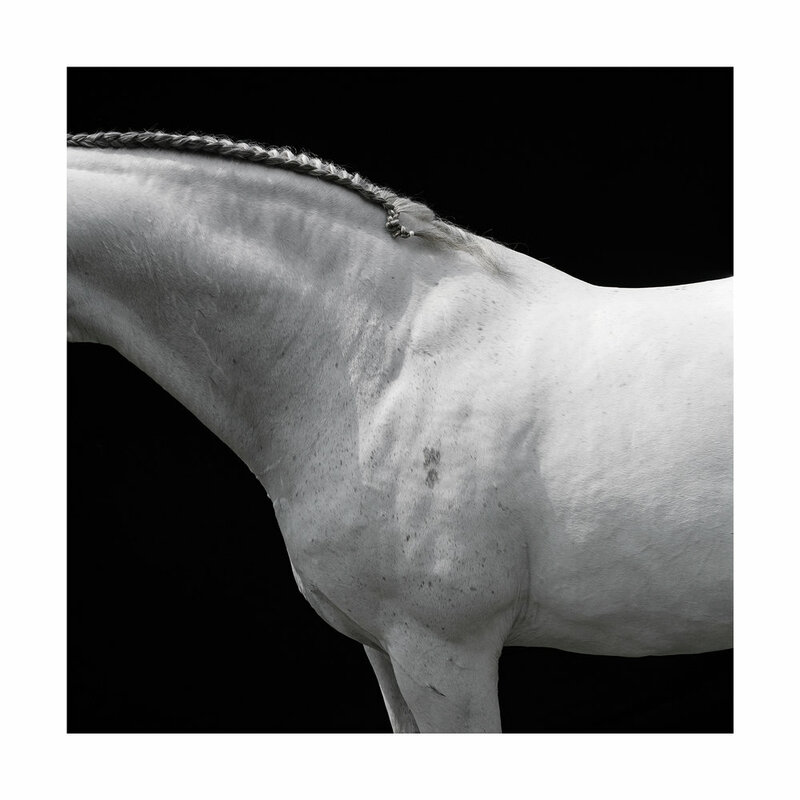 These images truly bring out the classical and majestic beauty and power of these creatures. 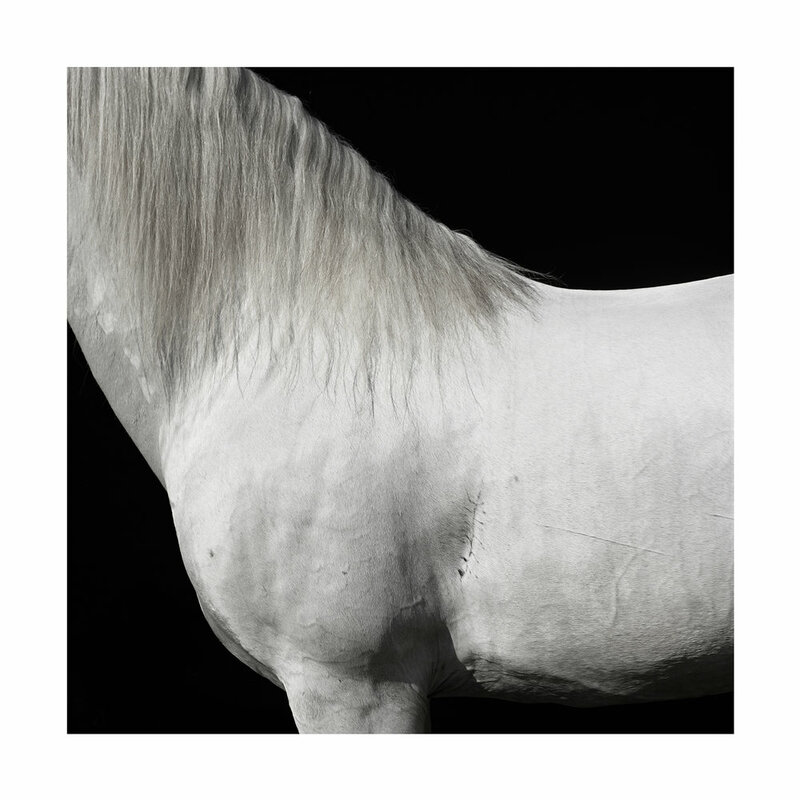 The rich texture of the horsesʼ skin and mane, offer a delightful break against the solid black background. But there is more to Almondʼs photographs than just a strong composition or attention to detail, there is also a non-tangible quality, a sense of deep comprehension. The smoothness of the horsesʼ coat is unexpectedly broken by branding iron scars, intended to surreptitiously remind the viewer that no matter how proudly these animals stand, they are still considered property, they belong to human owners. The detail is impeccable and the choice of medium perfectly complements the subject matter. The series are printed on Hahnemühle Fine Art acid-free paper with pigment based archival inks.